I will soon be leaving for Guadalajara, Mexico’s third-largest city, for several months. There are two reasons for this. First is to take a look at cancer care there. Why? Because between the likelihood of being diagnosed with cancer (1:3) and its financial consequences (as long as our politicians lack the will to rein in underlying healthcare costs), probably no illness strikes more fear in Americans. Many drugs, especially for M.S, diabetes and cancer, are obscenely expensive. Even those with good health insurance can never be sure what any major sickness will cost because what is covered by insurance are not shared with us until we get the bill. Much prettier than Monterrey and less overwhelming than Mexico City, with almost nine million people Guadalajara seems like the perfect place to study the Mexican healthcare system and life in a big Mexican city at once. Guadalajara’s hospitals attract expats living in popular areas like Mazatlán, Lake Chapala, Puerto Vallarta and even as far away as San Miguel de Allende. I expect some action. My living arrangements alone are rife with opportunities to learn the real story on Guadalajara. However, a majority of my days will be spent investigating how Mexican medical care works. Here are some of my questions. The American Cancer Society recommends in all of its pages specific to each type of cancer to get a second opinion. What if someone wanted to get a second opinion outside the American profit-oriented American healthcare system? Oncologists in the United States earn up to 60% of their income on medicines they prescribe. Clearly, there’s a potential conflict of interest there Would the treatment consultation be different if potential profit was taken out of the equation? No sentence rings truer when you’re trying to unravel any crisis, including a healthcare crisis like “Follow the money.” If you follow the money when studying wars, oil crises, housing crises, mortgage crisis, and most assuredly our healthcare crises, you can gain incredible insights into just how greedy, unethical and uncaring people can be. Since the American Cancer Society’s website is translated into Spanish, we have to assume the U.S. academic studies are all similarly shared and translated. Would there be any differences in each country's protocols? Which drugs are available in Mexico and which aren’t? We already know that the same drugs often cost much less in other countries. Americans are expected to shoulder a majority of the return on investment in R&D. Then what? How many are then distributed for less in other countries. How much insurance coverage does it take to have access to these super expensive, cutting-edge drugs? Do U.S pharmaceutical companies sell them all abroad at all, or are they only available in the U.S. where the government cannot negotiate or put a ceiling on cost? If an American is considering full-time retirement to Mexico, what might they expect from the Mexican healthcare system in comparison in general? My hope to interview expats who have been treated in Mexico. If they are on Medicare, do they always return to the U.S. for care? How do outcomes compare? Instead of general outcomes, when considering different countries, world health organizations advise to go beyond the general ranking to look at how outcomes to particular conditions compare. Countries may rank higher and lower depending on the specific illness. America does have better outcomes in cancer than other developed countries for those who can afford it. How much of that better care trickles down to the average patient with an average income and average coverage? It does less well with diabetes, for example. Hopefully, I’ll be interviewing doctors (many of whom have been trained in the U.S) and visiting hospitals and cancer centers. I’ll see where people stay and who takes care of them when they are treated in Mexico. I imagine these investigations will seep into how other diseases are treated as well. I’m not sure where all this will take me. Why would someone want to do this? I think one thing that set me off to perform this mission was a Google search I did a long time ago, just curious about the subject of medical care in Mexico since I was considering moving here. If you do a Google search under cancer care in Mexico in English, you might be led to believe that in Mexico all people are treated with alternative care, that Mexico is a place to go when the rest of your options are gone, like several actors have done. Of course, that’s ridiculous. People are treated in conventional ways just as they are in the U.S. I will probably hear about those alternative treatments, but my direction is to first learn the rules of conventional cancer care in Mexico before looking into how people might be breaking them. I’m pissed off at Google. Related links: My list of America’s most expensive drugs, their price in the U.S. and their price in Mexico. Most recent: The Mexican parable, like all parables, teaches eternal, universal lessons. This is one of my favorite. Next up: Usually you have to decide which is more valuable to you, your money or your time. In Mexico you can save both of these invaluable assets. 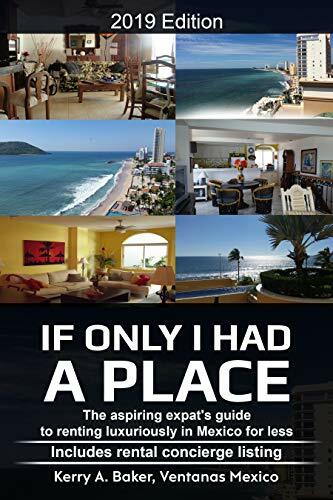 I'm Kerry Baker and author of "If Only I Had a Place," a guide to renting luxuriously in Mexico for less, year after year. The book includes a listing of rental concierges. 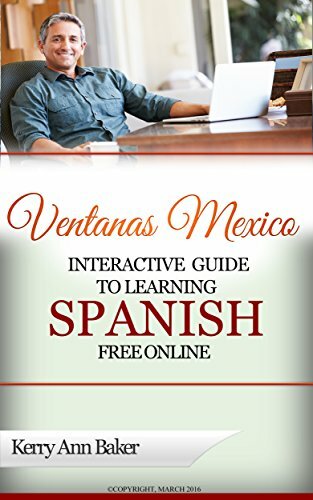 I am also the author of "The Interactive Guide to Learning Spanish Free Online," a curation of the best free Spanish teaching tools on the web, with links and lesson plans that I use myself almost every day. The Guide will take you the very best free tools on the web, the ones buried by search engines. Use it with your laptop, e-reader or tablet, like the Amazon Fire.